We are proud and honoured to announce that Professor Sjoerd Romme (1960) has kindly agreed to deliver a keynote speech at the second FIRES-meeting this October in Utrecht. 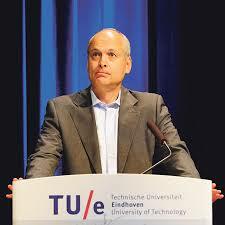 Professor Romme is professor of entrepreneurship and innovation at the Technical University of Eindhoven and from 2007 to 2014 acting as Dean of the department of Industrial Engineering and Innovation Sciences. He has both academic and practical experience in incubation, knowledge diffusion and commercialisation and will speak about the role of Universities and Knowledge Institutions in an Entrepreneurial Society.